An in:spa holiday is a wonderful option if you are looking for a healthy retreat and you are travelling on your own. About two thirds of each of our groups travel on their own and are keen to do so as this is precious ‘me time’ and so you have a far greater ability to really focus on your own health and wellbeing goals if you don’t have the distraction of others that you are travelling with! An in:spa health retreat combines three proven elements: diet and nutrition, fitness and yoga, massage and relaxation. This innovative programme delivers highly successful results and, after just 7 days, we promise you will return home refreshed, energised, and looking and feeling amazing. All our guests say so. Over the past 10 years we have perfected our weekly schedule to ensure exceptional results for every guest. 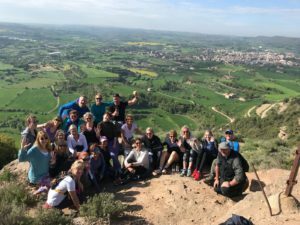 Retreats are hosted in Marrakesh at a boutique hilltop hideaway, at a magical chateau in the South of France and at a magnificent private residence in Andalusia. The number of people on each retreat is strictly limited, allowing everyone to enjoy personal nutritional consultations, yoga instruction in small ‘same level’ groups, fitness training, guided hikes, regular massages and individual care and attention. Approximately 70% of guests on the retreats are travelling solo and the one to one focus ensures that our luxury healthy holidays are suitable for absolute beginners as well as the more experienced, of all ages. Each day starts with an energising yoga class (or a jog, whichever you prefer) to stimulate your metabolism and prepare you for a delicious, nutritious breakfast. The rest of the day is taken up with lots more optional classes and activities, such as personal training, boxercise, group circuit training, and fabulous hikes in the stunning countryside surrounding each retreat venue. All guests also enjoy two blissful massages each week, plus a personal nutritional consultation and, for those that would like to understand how to prepare the in:spa cleansing cuisine at home, a cookery demonstration. All meals are prepared by expert in:spa chefs and nutritionists, and consist of light, innovative food that make use of the highest quality fresh local fruits, vegetables, fish, poultry and other ingredients, all organic when possible. The food programme offers the perfect blend of nutritious and delicious cuisine. Alongside targeted exercise, it is a formula that encourages deep cellular cleansing and rejuvenation that hundreds of our guests have enjoyed and greatly benefited from. The in:spa team recognises the importance of an integrated approach to health and believes that health and fitness programmes should always bring together mind, body and spirit. After all, it is a holiday! And we want you to return home feeling refreshed, relaxed and full of energy. During your retreat, there will always be plenty of time to relax by the pool in the sunshine, have an afternoon snooze, or take a quiet walk around the gardens and grounds. So, in addition to optimising your physical wellbeing, a key aim of the holiday is to allow time for personal reflection, relaxation and the opportunity to learn more about the positive effects that a more balanced lifestyle can have on your health. With each day offering a wide range of fun, healthy activities, you will find that it’s easy to enjoy a good night’s sleep and that you will wake the next morning refreshed and eager to start another day. For full information about all forthcoming in:spa retreats, please browse our site or call 020 3235 0120 to talk to one of our retreat co-ordinators.